Really good science-fiction takes a simple concept and extrapolates it to its logical extremes. 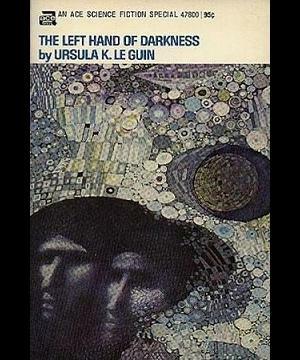 Ursula K. Le Guin's The Left Hand of Darkness is a good example of that, in that it introduces us to the planet Winter, a freezing world whose native inhabitants have no gender differences. The novel explores what would happen to society, politics, religion, and communication if there were no concepts of male or female, and it's a fascinating question with some surprising--but perfectly logical--results. It's provocative--as evidenced by the wildly different academic analyses of it--it's imaginative, and it's incredibly well-written. What more can you ask for in your science-fiction? 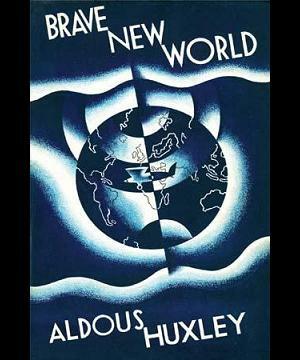 Aldous Huxley wrote Brave New World out of fear for where he saw the world heading. In particular, he feared America, the Industrial Revolution, and what he thought it was all doing to society. In science-fiction at that time, utopias were all the rage, so Huxley decided to flip that idea on its head and was one of the first writers to create a science-fiction dystopia, a future where something has gone terribly awry. The book rails against rabid consumerism and immorality, and while it was universally panned when it was originally published, it has lived on to be a modern-day parable about the dangers of excess. It was also one of the earliest works to tackle to concept of genetic engineering, a subject that had not yet entered into the wider social consciousness (that wouldn't happen until after the Holocaust a decade later). While I personally disagree with many of the points Huxley raises, I cannot deny that Brave New World is a well-written and hugely important science-fiction novel. 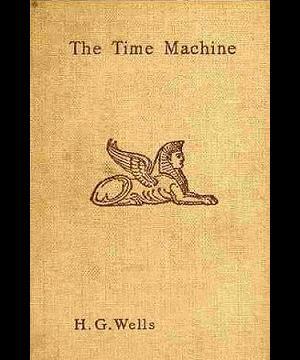 If you look at the collected works of H. G. Wells, you see the archetypal outlines of several subgenres within science-fiction. For example, The War of the Worlds is the first novel to tackle an alien invasion (and stories about alien invasions have changed very little since), Men Like Gods invented the sci-fi staple of alternate realities (and is so shocking in its politics that it inspired Brave New World), The Sleeper Awakes reads like a template for dystopic science-fiction, The Island of Dr. Moreau and The Invisible Man are a lot like Frankenstein in how they talk about the results of science run amok, and The Time Machine is the first novel to envision the possibility of time travel (and the earliest recognized story of the "Dying Earth" variety). The latter is easily Wells' best work, a strange science-fiction parable about the nature of power and the duality of man. Wells was also the first to popularize the now widely accepted notion that time is analygous to a fourth dimension, and he did it before the turn of the Twentieth Century. No small feat, indeed; it's almost as if Wells himself had been to the future. 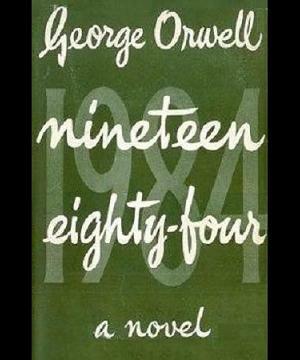 I'm a sucker for dystopic science-fiction, and there is no greater example of dystopia than George Orwell's Nineteen Eighty-Four, a novel so prescient and influential that we still use its concepts when discussing society today. Granted, the actual year 1984 turned out to be much better than Orwell's horrific vision of post-apocalyptic totalitarianism and mind control, but the story still seems like it could come true at any moment. For those who don't know, the story revolves around a civil servant named Winston Smith who decides to rebel against a tyrranical and seemingly omnipotent government. This government uses propaganda, torture, surveillance, and historical revisionism to control the populace, and in the end *SPOILER! * is so powerful that it puts even Smith back in line. While Orwell was himself a democratic socialist, the novel is widely interpreted as a rallying cry against all forms of extremist government, from socialism to communism to fascism. It is an impossibly important work, and while it isn't the easiest read, it should be--and in many schools is--required reading. Of course, the idea that we should mandate what young people read kind of seems like we're trying to control what people think... Oh crap, I've just put myself into an intellectual paradox and will now disappear in a sudden flash of illogic.